How do you update the origin of a hero like Captain America, whose comics storyline is so closely tied to one particular era? Turns out you don't even try. Marvel's Kevin Feige explained to IESB how 2011's Captain America movie will handle his rich backstory. He also addressed reports about a certain armored hero's tinkering with the Captain's shield, and casting rumors. 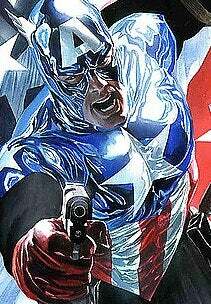 The First Avenger: Captain America is one of a bevy of upcoming Marvel movies announced earlier this year.